So in addition to pumpkin pie, we reveled in pumpkin muffins, pumpkin bread and other pumpkin treats all fall and winter. Chili: Add a big dollop of pumpkin to your favorite chili recipe to add body, color and a very slight sweetness that can mellow out the spices. Boxed macaroni and cheese mix: I am constantly experimenting with boxed mac and cheese to make it healthier, tastier and just more interesting because it’s a cheap and easy meal. Instead of butter and milk mixed with the cheese powder, I’ve long been using an equal amount of plain yogurt, but I recently used the same amount of pumpkin puree and the results were fantastic. I also added a dash of sage and nutmeg to make it fancy. Indian skillet meals: I’m a big fan of Indian simmer sauces, which I like to pour over a big skillet of broccoli florets and sliced chicken breast. The addition of pumpkin puree makes the results even creamier and more substantial. Risotto: Butternut squash stirred intro risotto is a popular addition, but you can easily substitute pumpkin for a similar flavor and rich orange color. Enchiladas: There are a few ways you can incorporate pumpkin into your favorite enchilada recipe — you can mix it into the enchilada sauce or it can be part of the filling. Equal parts refried beans and pumpkin seasoned with a big hit of chili powder make for a creamy and nutritious vegetarian enchilada. Or try this recipe! 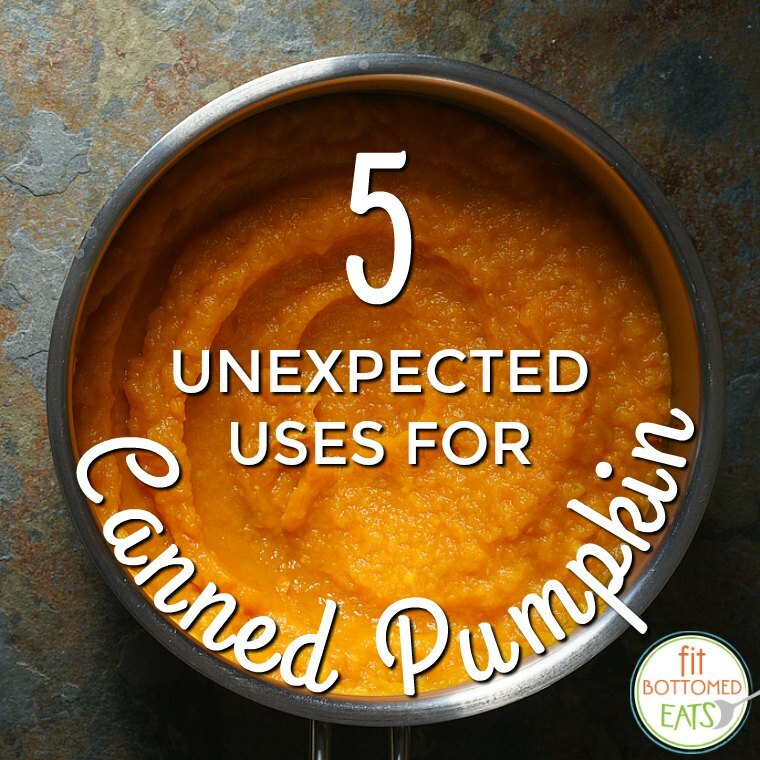 Use it wherever you’d use mashed bananas or applesauce in a recipe for a fall twist. If you’re into making your own hummus, add a little pumpkin puree and warming spices, such as ginger and chipotle for a Southwestern pumpkin hummus. Try substituting pumpkin for any or all of the oil, water, or milk to pump(kin) up your pancake or waffle mix or recipe. Throw in some pumpkin pie spice for good measure. Here’s a Pumpkin-Stuffed Shells recipe we featured recently. I love pumpkin, Thanks for good idea how to eat it.